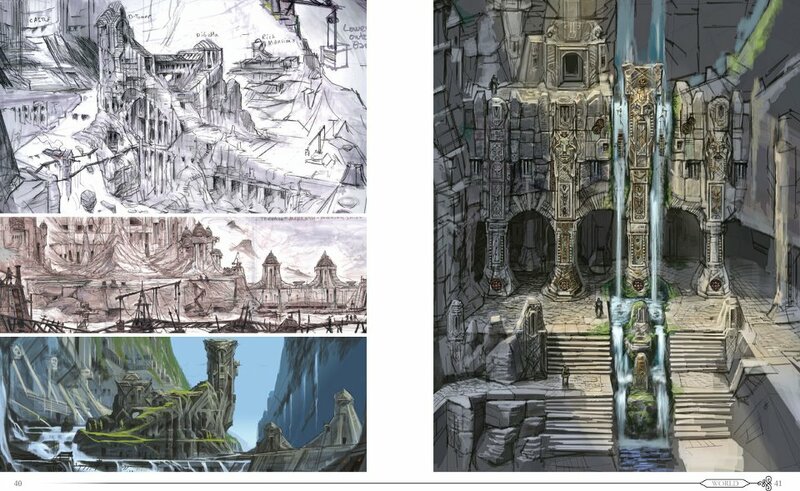 Skyrim's concept art isn't just pretty; it shows how the game came together as well. 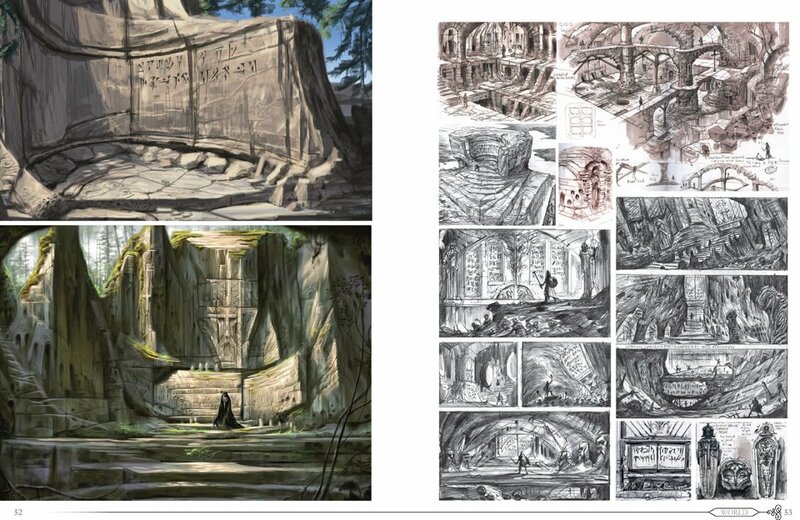 Bethesda has released a preview of The Art of Skyrim, the 200-page art book that comes with the game's enormous collector's edition. The preview shows two things: firstly, that the studio has some rather talented concept artists, and secondly, that Skyrim looked rather good even before it really existed. The images show an interesting combination of locations from the game. 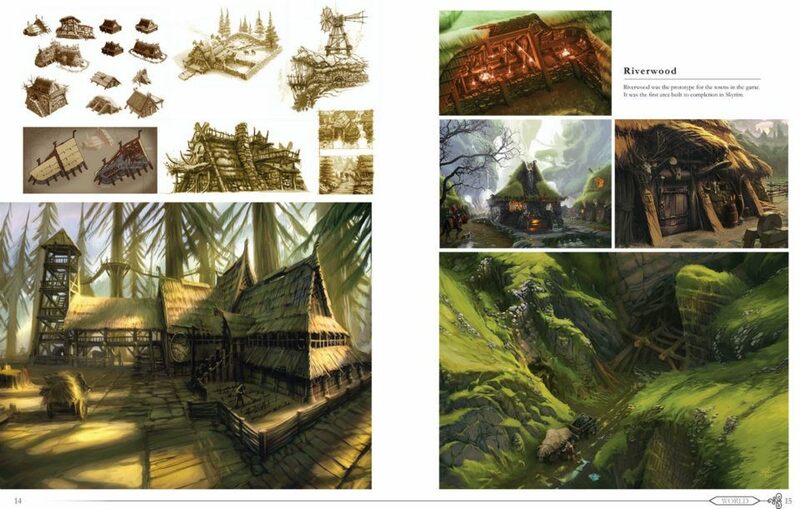 There are two pages that show long-abandoned ruins, and two pages that show the development of two of the game's towns. 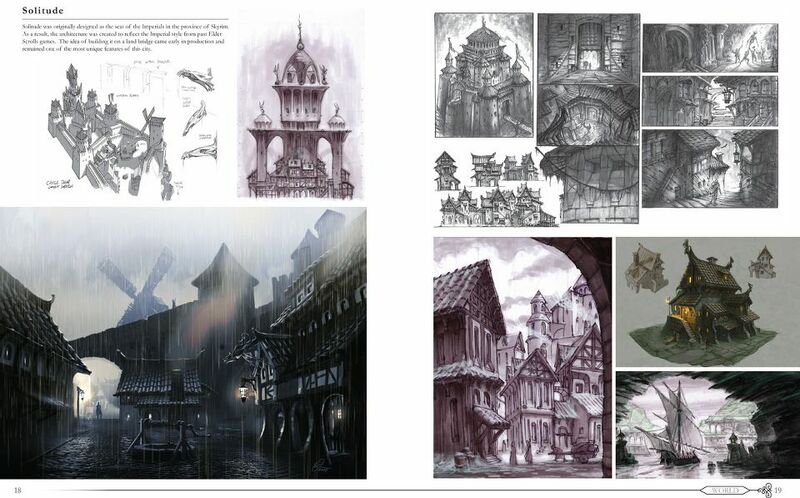 Sharp-eyed readers will be able to make out the text on the pages as well, which explains why the architecture in the town of Riverwood is so different to that in the former Imperial seat of Solitude. I'm hoping that Bethesda will eventually release The Art of Skyrim as a standalone product so that people who aren't buying the Collector's Edition - which is probably quite a lot, as it's not exactly cheap - can grab it. Even if you're not especially interested in knowing why things look like they do, if the rest of the art is as good as this, then it's going to be a stunning book.